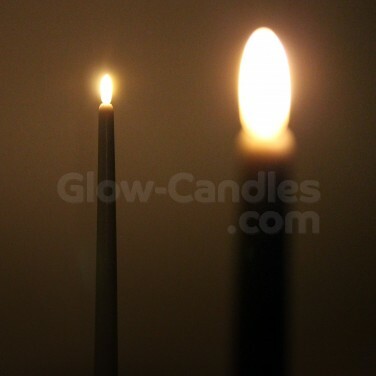 Standing at 27cm tall, Flickabright taper LED candles add height to candlelit displays without the risk of flames. 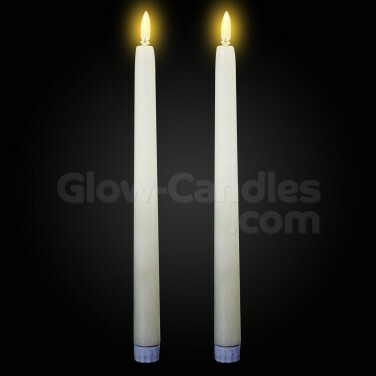 Complete candlelit displays and enjoy flickering real flame effects without risk with a pair of taper candles lit by flickering amber LEDs. 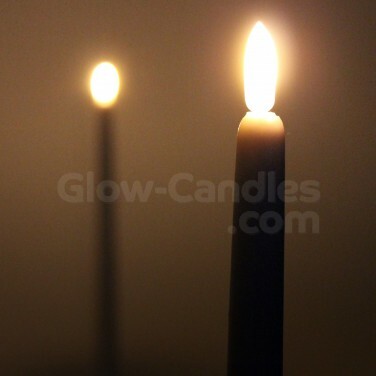 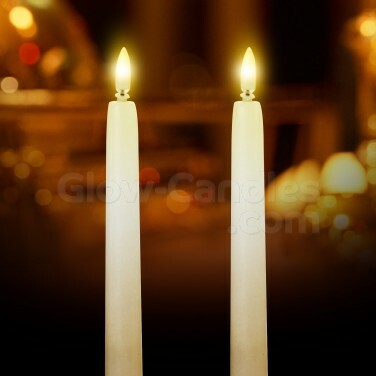 Using the latest real flame effect, the LED sits inside the plastic "flame" of the candle for a more realistic effect, and made from real wax, these dinner candles mimic the real thing perfectly. 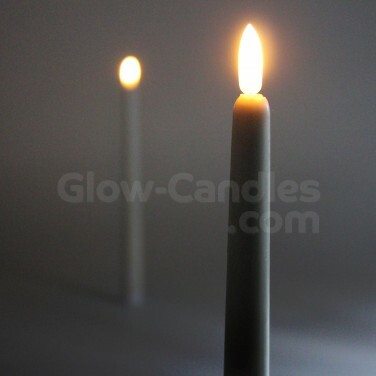  Ideal for adding height to candlelit displays or as a decoration within their own right, these battery operated candles have a simple turn on/off function.